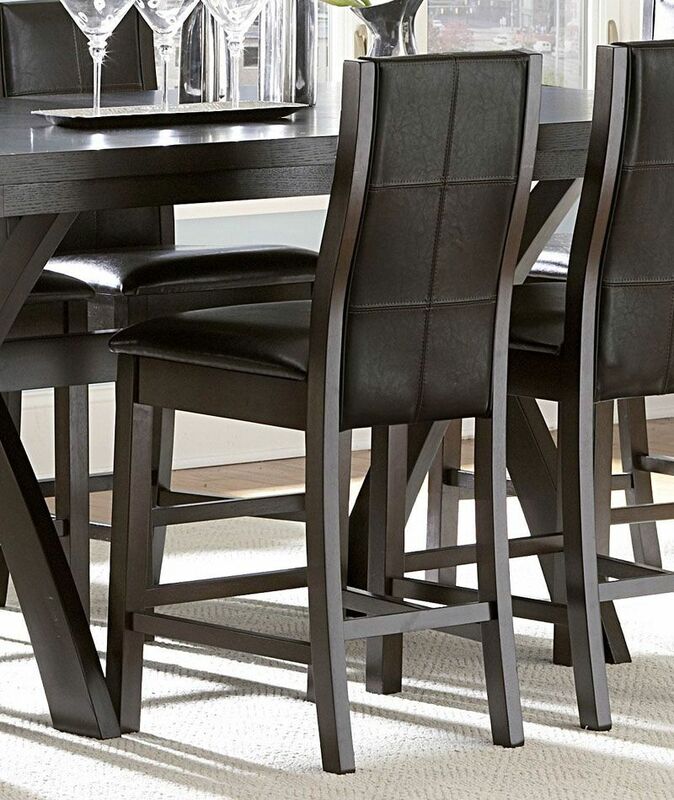 Click the button below to add the Camden-7pcs Modern Rectangular Counter Height Dining Room Table & Chairs Pub Set to your wish list. Distinctive modern appeal is captured in the clean lines of this dining collection. 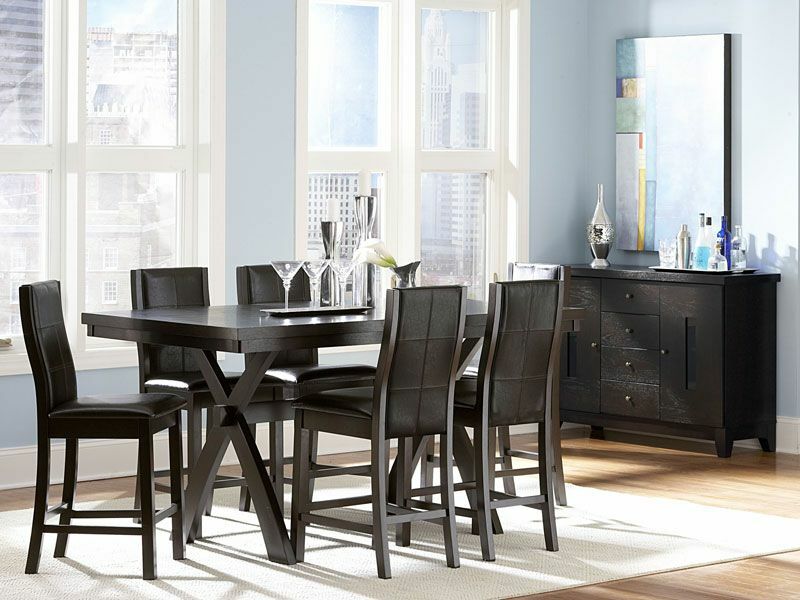 X-based trestle dining table is perfectly matched by wood-framed, bi-cast vinyl upholstered chairs. The oak and meranti wood veneers feature a dark espresso finish, while contrast stitching on the chairs provides another layer of dimension to the collection. 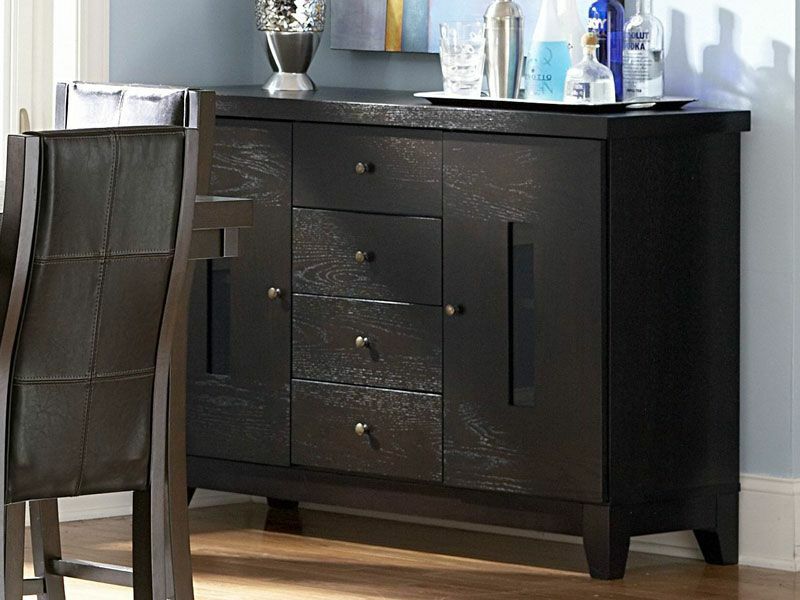 The coordinating buffet server features felt lined top drawer, roller drawer glide system and behind-door storage shelves.